Oswego, Oregon. 067, Schools, Oswego, buildings. 1906?. Howard Jones. OL#14, OA#14. 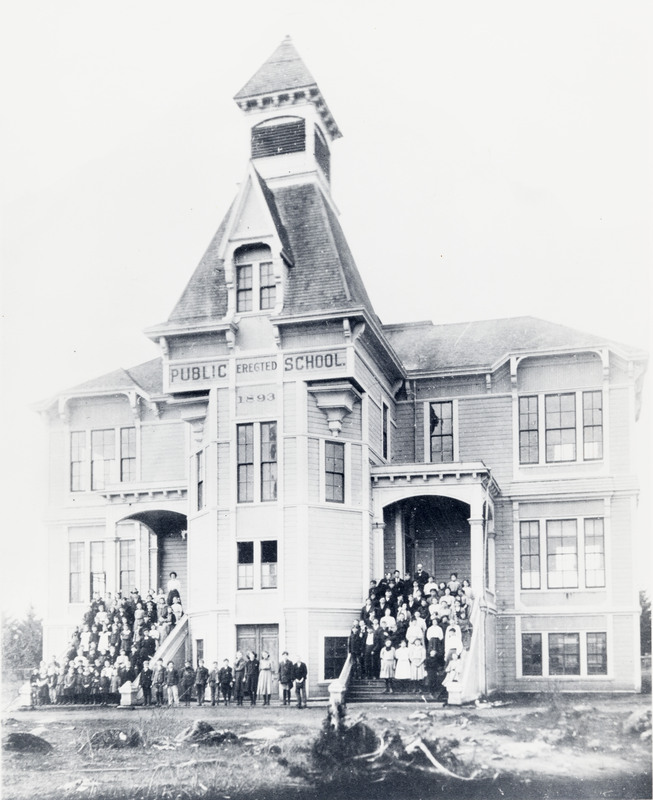 Description Same as 1546a & c. [on building]: Public School, erected, 1893. Transcription Oswego, Oregon. 067, Schools, Oswego, buildings. 1906?. Howard Jones. OL#14, OA#14.